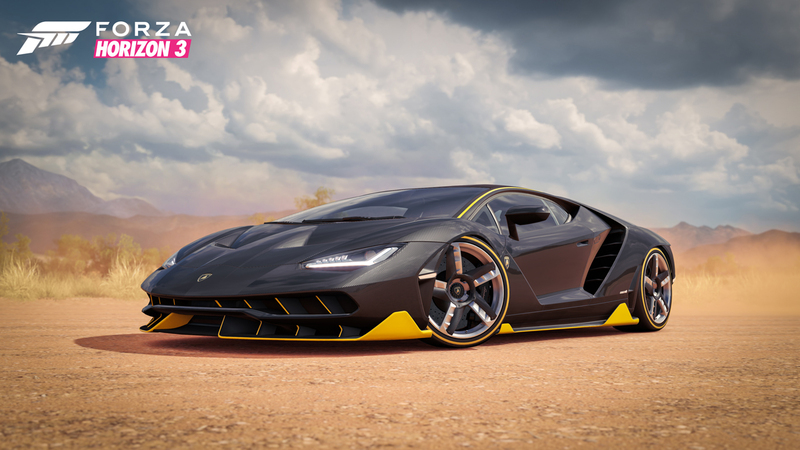 I’ve spent the past few days playing Forza Horizon 3, the sequel to my prior favorite racing game, Forza Horizon 2. 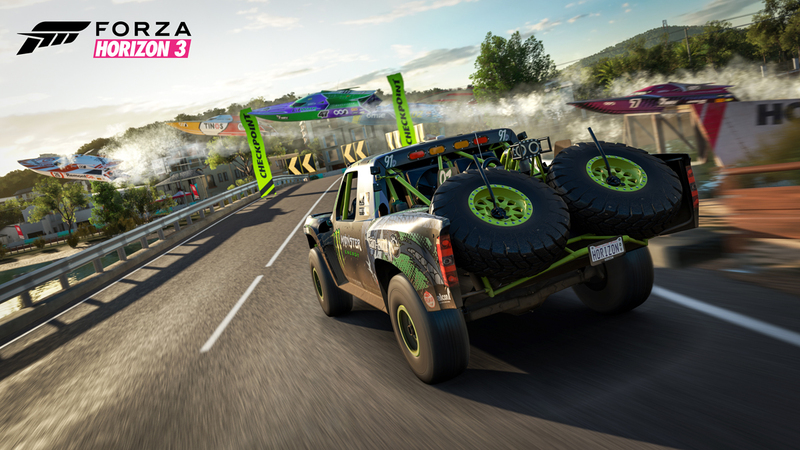 The Forza Motorsport series has always been a great racing simulator, and undoubtedly the best current generation console option, but lacks the "fun factor" that an open world game offers. 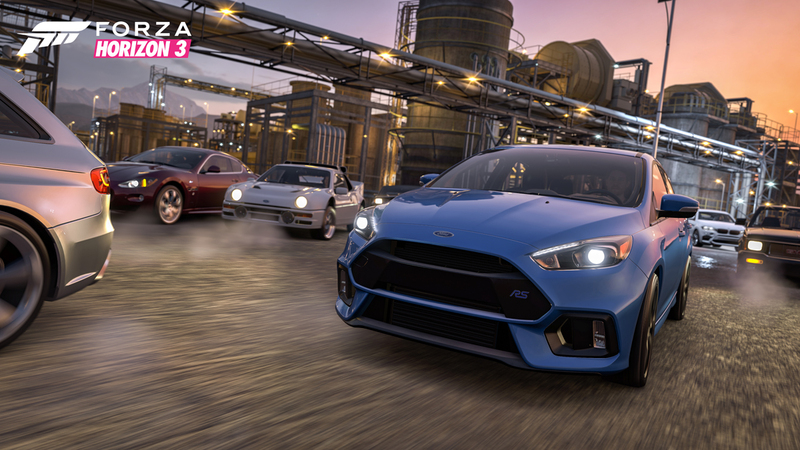 The Horizon series takes the stellar Forza physics engine, and sets you loose to explore gorgeous terrain freely, and it's this factor that makes for a Forza franchise personal favorite. This time around we are exploring all that Australia has to offer; in this case a mix of Cityscapes, the Outback, Rainforests and everything in-between. I was nervous as the download bar progressed on my console, and as I prepared to launch Horizon 3. I was excited to see what Playground Games had up their sleeves, but also worried the game would lose it’s charm in the pursuit of innovation. The location hit particularly close to home for me given, half my heritage is Australian, and it was difficult to prevent my hopes from spiraling out of control. 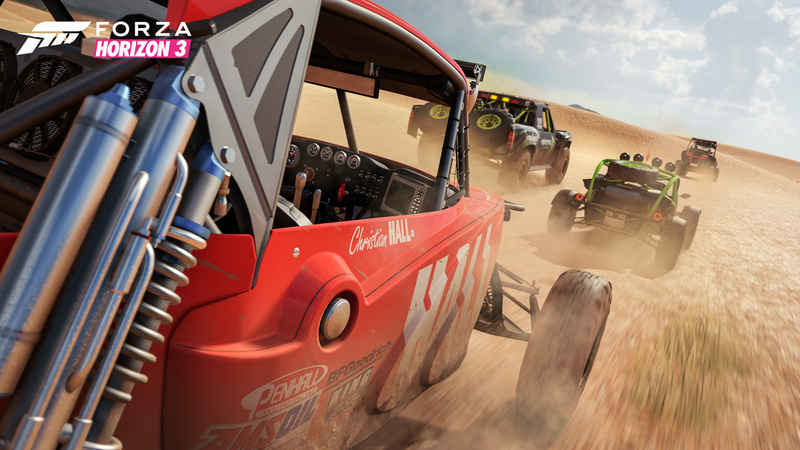 After spending every free moment I’ve had tearing through Horizon 3, I am happy to report Playground Games has produced the what I'd consider to be the most enjoyable racing game of all time. They have taken the Horizon concept, and it’s prior successes, and refined it everywhere they could. While there is not anything revolutionary introduced this time around, what is delivered is an incredibly polished game that does everything it promised, something far too rare in today’s gaming industry. The game is absolutely gorgeous, and shows off the potential of the Xbox One, a console behind in power this generation. I found myself having to use the game's rewind feature on more than one occasion due to being distracted by the scenery. A new "discoverable" is appropriately named a "Beauty Spot”, 13 of which can be found in different locations around the map that highlight unique areas. The variation in terrain works really well, with the best of Australia being presented in a condensed package. Whether you are rushing through lush rainforests with tight curvy roads, wide open stretches of the outback, an abandoned shipyard, or enjoying the city, the location choice is undoubtedly awesome. There is more of a focus on music than ever before, with the ability to unlock new radio stations as the game progresses. The sound track selection is really solid overall, with a big variety in what is available to you. Progress in the game is now made primarily through the amount of fans you have acquired, a particularly relevant measure in our social media-focused world. The beauty of this system comes in the variety of ways that you can earn additional fans, allowing a far less linear path through the game than seen in previous iterations. While you can of course progress through the abundant races available to you, I personally found myself more drawn to "PR Stunts," and "Bucket List" challenges rather than more traditional events. In my 20 hours of gameplay, I still haven’t been forced to do any events that I didn’t want to. The one thing the games does force your hand on is the Showcase events that pop up periodically with progression. 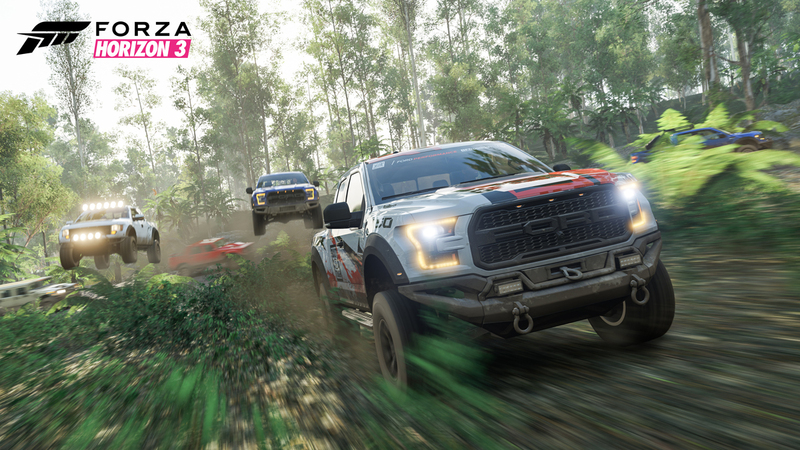 While I won’t spoil the later showcase events, the one available in the Horizon 3 demo, and the first in the main game, has you chasing a Helicopter with an old Willys Jeep attached to it through the rain forest. They are quite cool to say the least, although it can be frustrating that it locks you out from doing anything else once it becomes available. I had a couple occasions where I managed to get 2 out of 3 stars on a drift challenge, and then got locked out from trying it again until I completed the Showcase event I had just unlocked. In addition to the traditional progression system, there are a ton of collectibles to find. Nothing major has changed here, with fast travel and XP boards, barn finds, and road discovery all making their return. Those of you who are completionists, your plate is going to be super full. 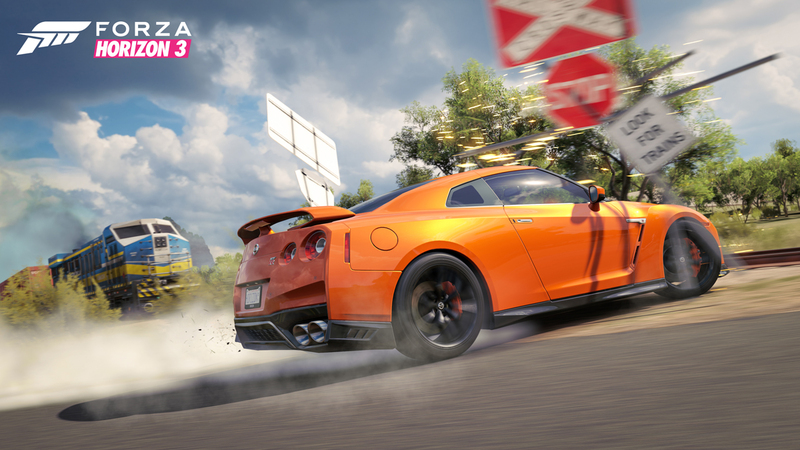 The skills function of the game has also made a return, allowing you to get a reward for drifting, extreme speed, near misses, air time and more. This makes casual exploration very satisfying, as you are actually making progress towards your skills board as you bomb around the map, even aimlessly. All of this works together to provide an experience of really solid gameplay, in a beautiful environment, and the feeling of progress no matter what you are doing. It makes it really hard to want to stop playing, usually requiring a real binding commitment to have you turn the console off. The ability to create custom bucket list challenges and set your own benchmarks, and the ability to create custom races adds nearly infinite replay value. 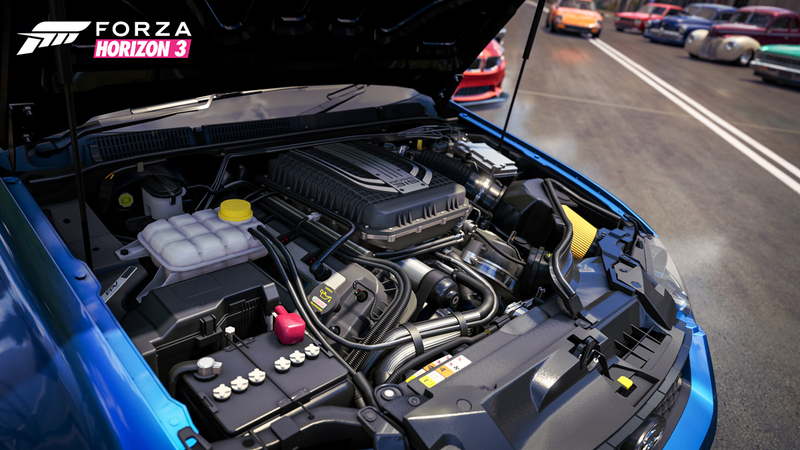 An area where the prior Forza games have been lacking has been keeping with the times in regards to car modifications. Love it or hate it, the rivet-on wide body phenomenon is a part of current car culture, and is now present in the Forza series. 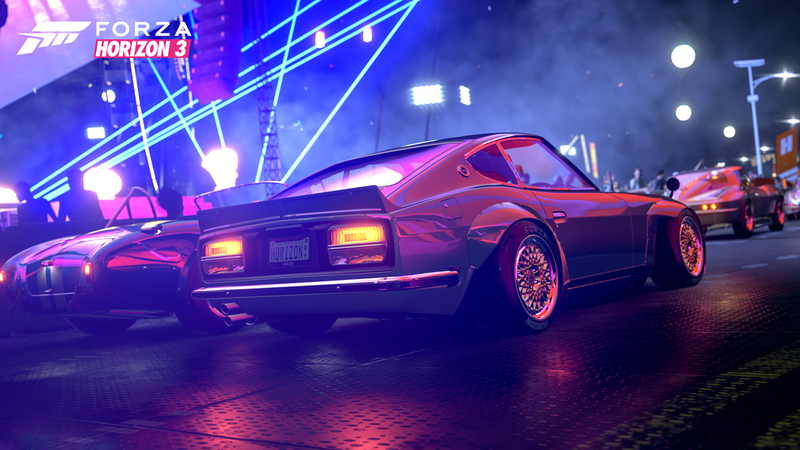 You have the ability to outfit a variety of cars ranging from an S13s and BMW M3s, to a Ferrari 458 Italia with a wide body designed either by Rocket Bunny, or Liberty Walk. The wheel selection has been expanded to include current companies such as 1552, Rotiform, and ADV.1, as well as maintaining staples like HRE, Volk and BBS. The line up in general is still a touch lacking, with some obvious choices such as the BBS RS, E88, and LM still absent, but it’s always good to see progress on that front. The ability to adjust the fitment on the car and absolutely slam every vehicle is still missing, but someone on the team definitely has made a push for better fitment in general. Most cars tend to sit quite nice on the race suspension, and are fitted incredibly well, bordering on insane when a wide body is applied. The ability to create and share liveries is present as always, allowing extreme customization for those willing to put in the time. The true magic of the game comes via it’s online mode, which allows you to explore the map freely with friends, or engage in events competitively. Progress is seamless in between online and offline modes, meaning once again, gameplay feels extremely satisfying. You never have to choose whether you want to further your main campaign, or play online with friends, it’s all one in the same. This is a really strong feature, and one that I wish more games would embrace. 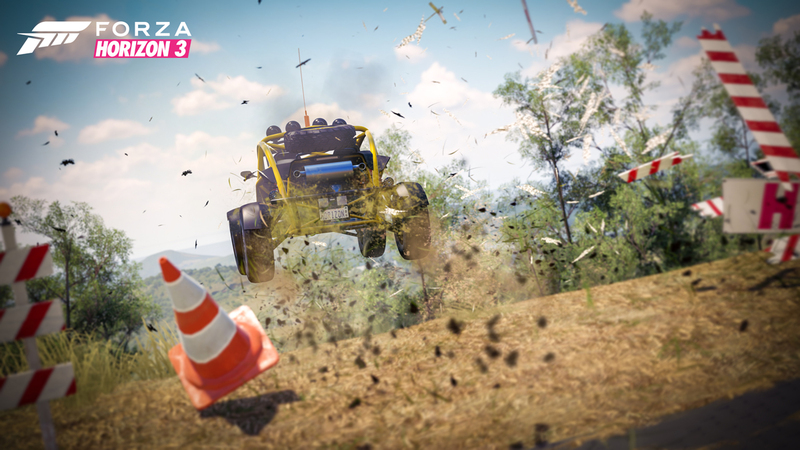 The servers were admittedly a little wonky when playing online, with other players vehicles transporting all over the road, but that may just be due to playing prior to release. Beyond that, the online is truly amazing and I had a blast going back and forth trying to beat friends high scores while we simultaneously hit the same section of road. 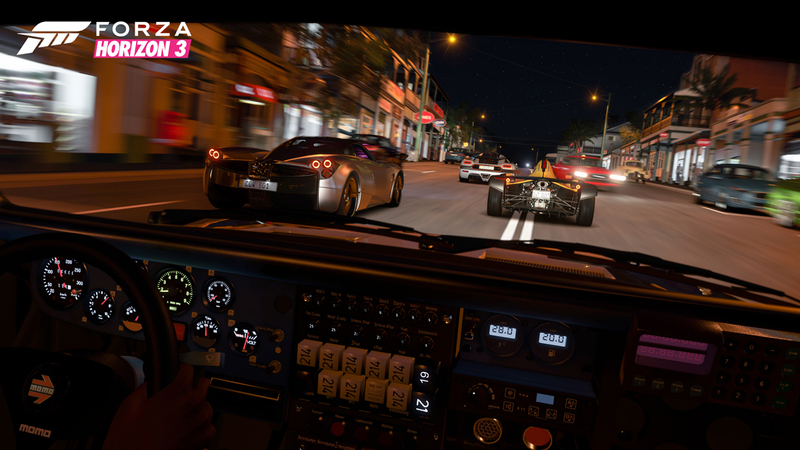 There is a huge amount of events built by the Horizon team, and with the most full fledged event customization ever seen in a Forza game, limitless replay value is available. The game is not without it’s flaws, the most glaring of which is the lack of a true "drifting road." Although there are many great sections through out the map featuring multiple corners you can link, the lack of an “epic” road such as the one in Red Rock of the original Horizon, or something akin to Fujimi Kaido of Forza Motorsport 4 is a sorely missed opportunity. The wheel selection is a massive improvement over any previous Forza, but for us die hard wheel guys, it is still definitely lacking some of the basics. The ability to fully customize wheel fitment, and ride height is another missed opportunity to appeal to the more aesthetics-driven crowd. There also needs to be an option to attack the drift zones and speed zones traffic free. Rather than add a challenge to the event, it rules out the majority of the runs from coming anywhere near their maximum potential, resulting in a large amount frustration and wasted time. However, any complaints beyond that start to rest firmly in the nitpicking category. 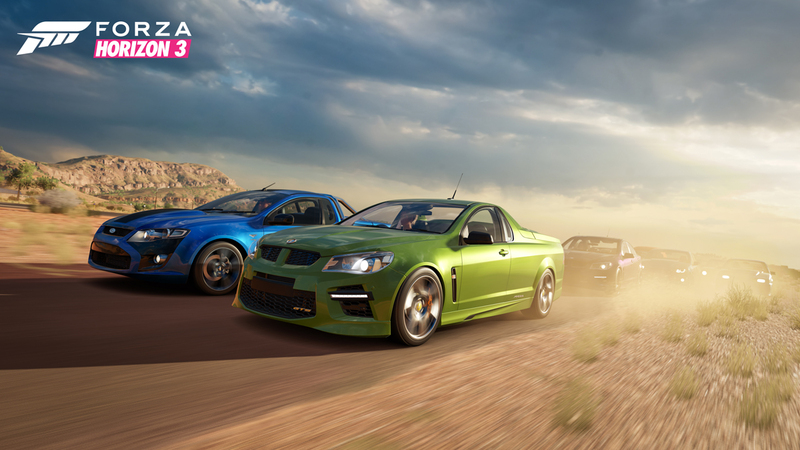 Forza Horizon 3 is the most complete racing game I have ever played, and undoubtedly the most fun. It’s drop dead gorgeous, with a huge variety of cars, and an overwhelming amount of things to do. The new focus put into making progress how you choose keeps the gameplay feeling fun, rather than grindy. 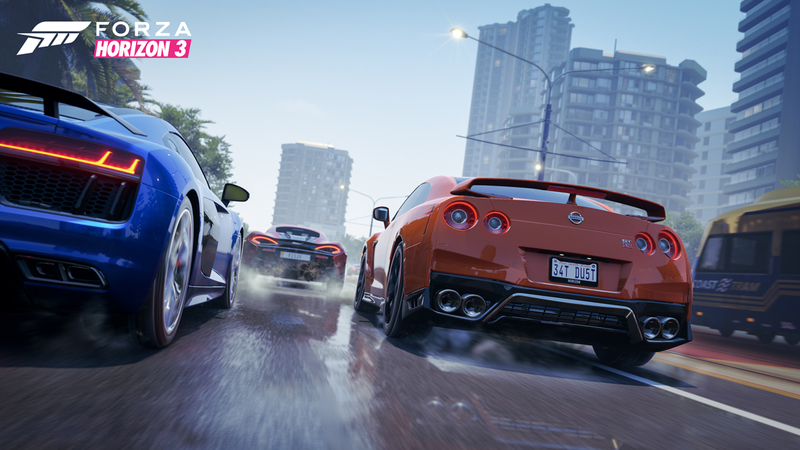 Every aspect from car customization to selection is the best it has ever been. As the game is released publicly, and the servers begin to populate, as well as the marketplace, things will only get better. Cheers to Playground Games for taking an already exceptional game concept, and polishing it even further. Most importantly, the e28 M5 is included in the base game. 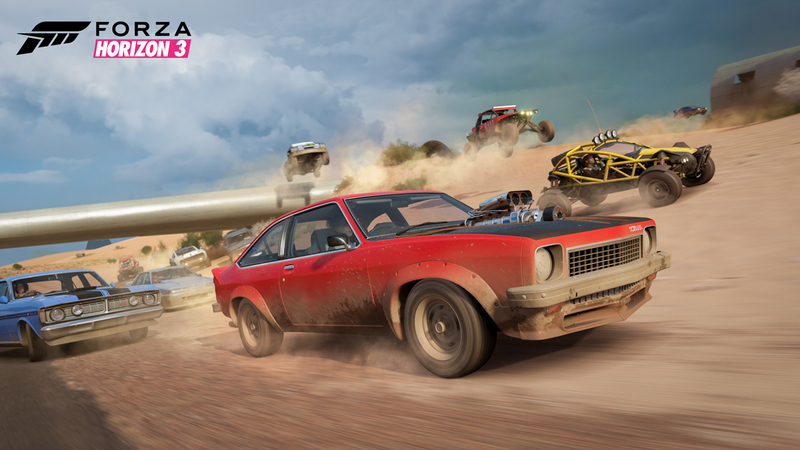 Seems someone over at Playground Games has been listening!